The competitive teams from Brookes and Oxford had good success at the London Unis this year. Alex Hampshire had an epic day, taking home gold in both the juniors and seniors U81s. Ellen Tveteraas won gold in the U63s kyu grades, and Bailey Anderson in the U78s kyu grades. Geoff Smith took silver in the U100s. Andrew Serdega got a hard-fought bronze in the seniors U81s. 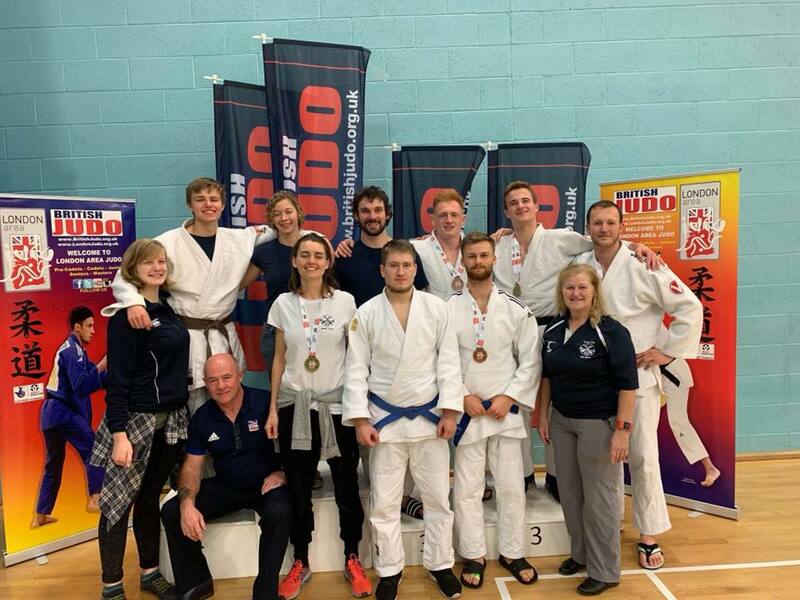 Nick Holmes won bronze in the U66 juniors. And Emma Burnett, Matthew Edmans, Alexander Bridge, and Danil Karasev all came in 5th (of brackets of more than five!). Well done to everyone, and thanks to the super coaches!